Enter cover crops (pictured right). Will Glazik farms in rural Paxton. He explains, "A cover crop is a plant that is used to hold the soil to prevent erosion. It’s used to sequester nutrients that would otherwise be run off through tile water, keep those nutrients in the field." Cover crops aren’t for harvesting. The farmer plants his field with alfalfa, cereal rye, radish plants, clover and more after the fall harvest. The plants come up in late fall and die in the winter. "Then as it decays the nutrients it sequestered will be released to our next crop of corn or soybeans," Glazik said. Glazik added that cover crops serve as natural source of nitrogen that doesn’t run off like the chemical spray. "The more nitrogen we can grow rather than purchase is going to help out all around," Glazik said. "There’s only a finite amount of soil and if we let it blow away or wash away or all the nutrients in it disappear, we struggle," she said. Cover crops can reduce corn and soybean yields, and hurt a farmer’s already razor thin profit margin. Farmers live on what money is left after they pay for seed, fertilizer, taxes and other expenses. 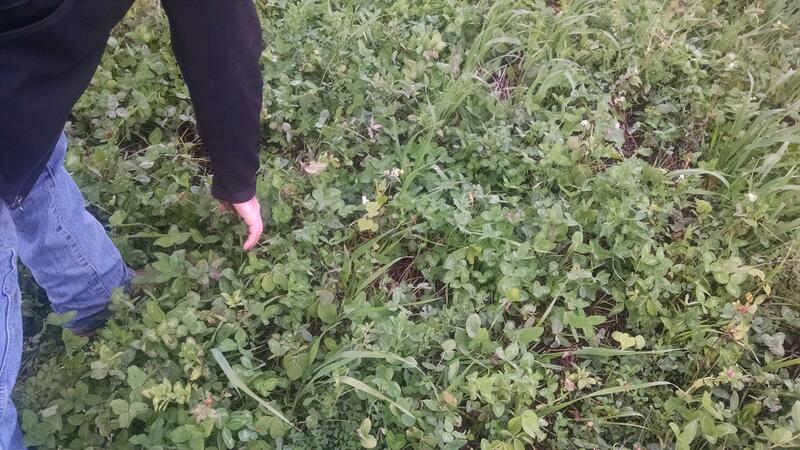 Glazik (pictured left demonstrating a cover crop) says while a farmer does see a slight reduction in yields, he finds that no fertilizer bills and less machinery use helps offset a lower harvest. Lin Warfel farms in southern Champaign County. 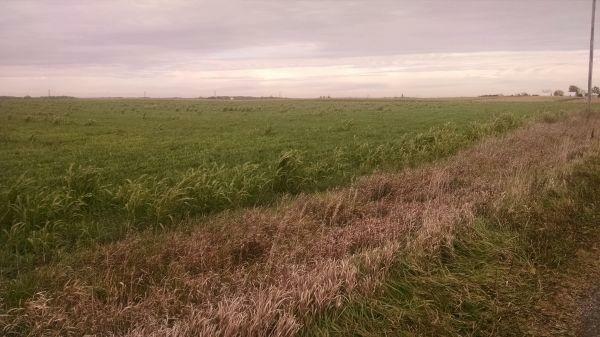 "It’s not clear that cover crops return well on the investment," he cautioned. But, Warfel supports doing things to protect farms. "We’re keen on doing things that will preserve and actually enhance the soil, and cover crops do that," Warfel added. "Some farmers can stand one year of red ink, but boy, it gets really tough after one year. And I really doubt if guys can handle three years of red ink," he said. Davis says she hopes farmers sacrifice in the short term and embrace cover crops to help the environment and reduce chemicals in the soil. "Which is healthier? I hope that they would see that cover crops are the way to go," she said. "We should be responsible for taking care of the planet," Warfel said. "It’s the only one we have."